FluoTime 100 is an easy to use, ultra compact time-resolved fluorescence spectrometer. It includes the complete optics and electronics for recording fluorescence decays via Time-Correlated Single Photon Counting (TCSPC). The system can be used with either picosecond diode lasers (LDH Series) or sub-nanosecond pulsed LEDs (PLS Series). With the FluoTime 100, decay times as short as 50 picoseconds can be resolved. The system allows operation at laser repetition rates as high as 100 MHz and count rates up to several million counts/sec. 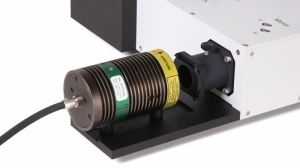 The laser coupling module consists of a holder for uncooled laser/LED heads interlocked with the detector. The holder locks the orientation of the laser head to emit either vertically or horizontally polarized radiation. The beam is directed towards the sample by an adjustable steering mirror. A mounting plate for a cooled LDH Series laser head is additionally available. The sample chamber contains a versatile sample holder for cuvettes. Tubing for a circulating fluid is pre-installed. 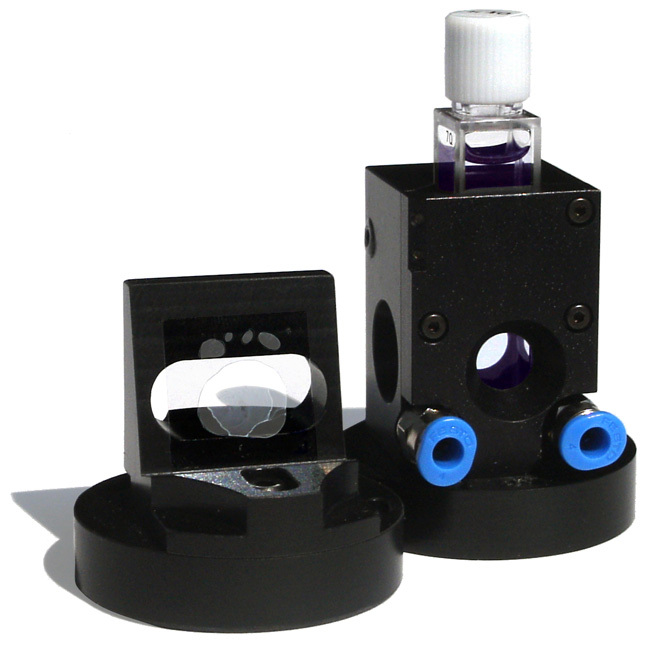 A front face sample holder is available as an option for small solid samples. 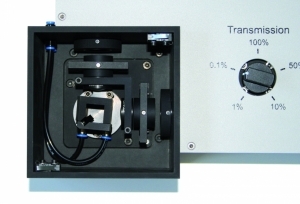 Holders for excitation and emission filters and optional sheet polarizers are available inside the sample chamber. For security, the sample chamber lid is interlocked with the detector. 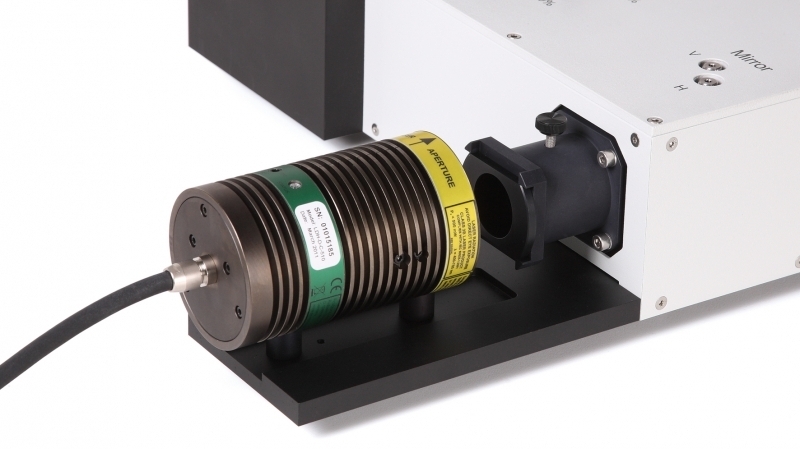 Two filter wheels are included in the spectrometer, one for regulating the intensity of excitation light, the other for selecting the spectral range of interest for detection and filtering scattered excitation light. The standard excitation filter holder contains filters of 50 %, 10 %, 1 % and 0.1 % transmission. The emission filter wheel holds various cut-off and/or bandpass filters depending on the customer’s request. 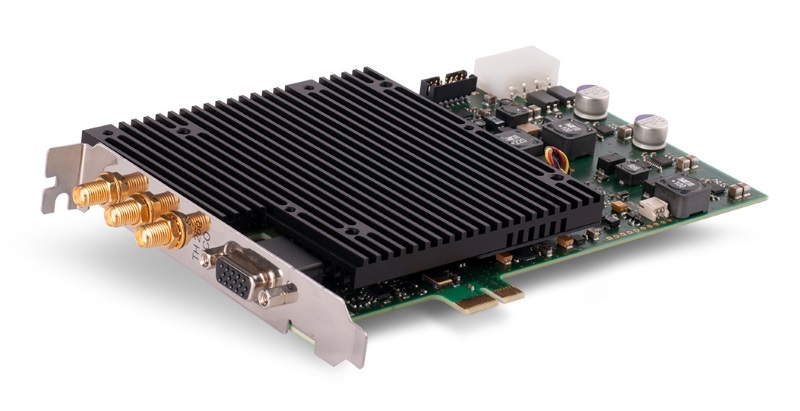 The data acquisition board (TimeHarp 260) contains the complete timing electronics for Time-Correlated Single Photon Counting (TCSPC). More than 1 million counts per second can be processed, allowing acquisition times shorter than 1 second. 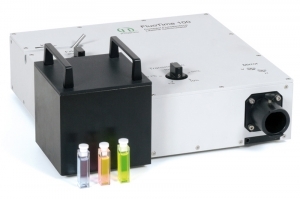 TimeHarp 260 covers time ranges from picoseconds to seconds thereby allowing study of fluorescence and phosphorescence with just a single instrument. All functions of the TCSPC board are controlled by an easy to use Windows based software. These functions include loading and saving of experimental data, as well as setting and storing of measurement parameters. 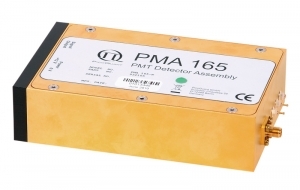 A PMA Series detector is incorporated in the FluoTime 100. The detector has a built-in high voltage power supply, signal pre-amplifier and a gold plated iron housing for optimal timing performance and maximum RF and magnetic shielding. With this detector unit, an Instrument Response Function (IRF) of less than 200 ps can be achieved in combination with a diode laser. Various different cathode types are available that cover the spectral range between 185 and 820 nm. PicoQuant annually holds the European short course on “Principles and Applications of Time-resolved Fluorescence Spectroscopy”. The course is intended for individuals wishing an in-depth introduction to the principles of fluorescence spectroscopy and its applications to the Life Sciences. The course is held in cooperation with Prof. J.R. Lakowicz from the Center of Fluorescence Spectroscopy (CFS) in Baltimore and consists of lectures as well as instrumentation and software hands-on training. For details see the course website.